Results - Ph.D / M.Tech / MCA / B-Tech / B-Arch. 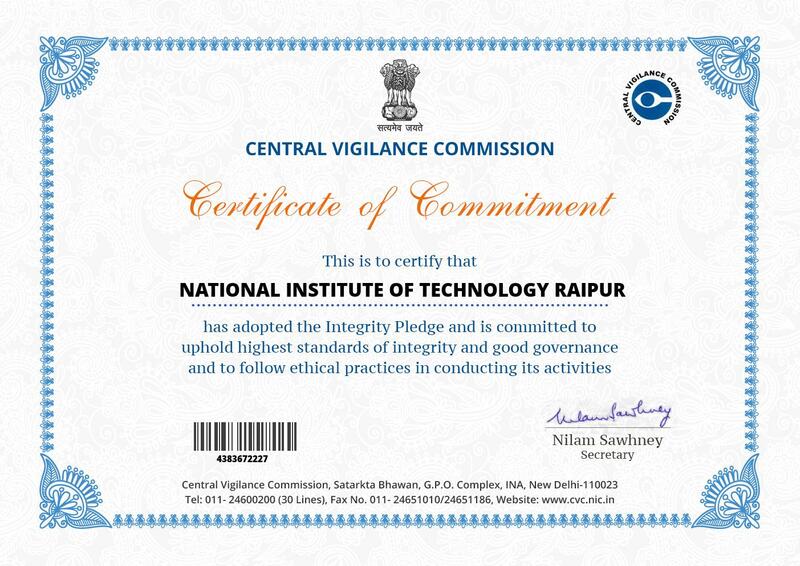 Disclaimer: NIT Raipur is not responsible for any inadvertent error that may have crept in to publication of the results on Institute's website. The results published on the institute's website are for immediate information to the examinees. The results published are provisional and subject to the modification after post-publication scrutiny. 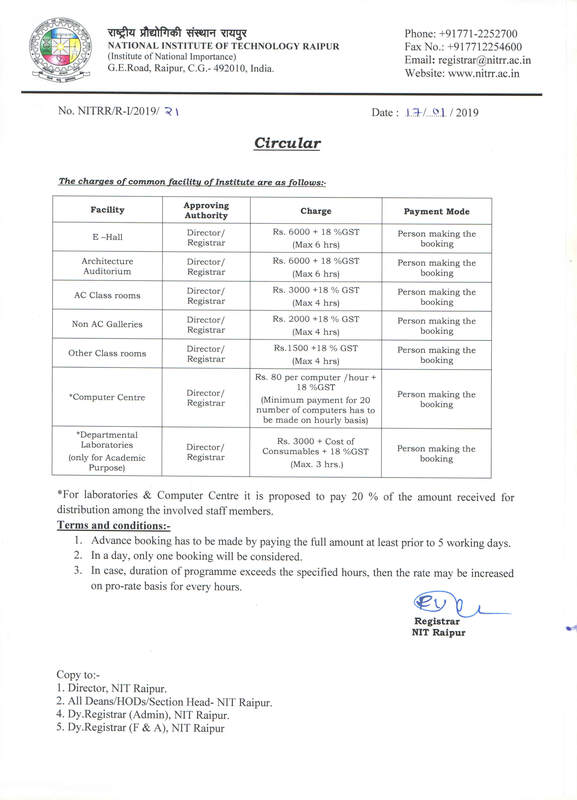 Any mistake detected should however, be brought to the notice of Professor Incharge, Examinations, NIT Raipur within 15 days from the date of publication of Results.